This entry was tagged california organic gardening, COGC, fall plant sale, fall planting, gardening club, orange county, organic vegetables, second season garden, winter vegetables. Bookmark the permalink. 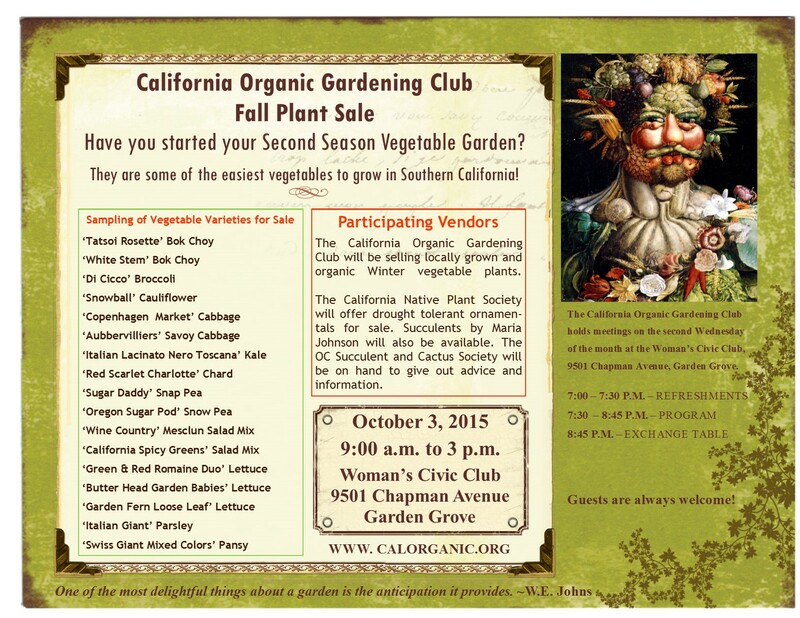 We are expecting lots of interesting people buying plants and exchanging ideas on a mild fall day in beautiful Southern California.